Nicole Richie practically made it cool to wear any sort of band around the head which is why when she designed her own glamorous range of head pieces for her collection House of Harlow 1960 it was sure to be a hit, with all Nicole Richie wannabe fashionistas. 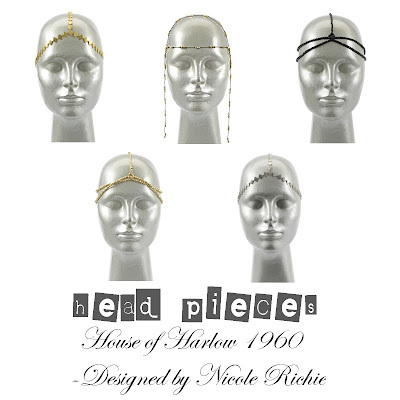 Pascal Mouawad now has the entire House of Harlow 1960 head piece collection available to purchase online. They range from $100 - $180 so they are easily affordable to everyone! Which House of Harlow head piece is your favourite!? I love the first pictured and also the fourth, i actually can't decide! Click here to shop the entire collection of House of Harlow 1960 headpieces!